It’s hard to believe that another school year has started! The kids love to learn and are excited to bring home their new site words, sentences and math problems that they need to solve. Last year as the year progressed the kids became bored just reading their site words so we began to play board games that we downloaded and printed. We would integrate their homework into the those for more of a challenge. The kids loved it, but it meant that there were a lot of papers and game parts to keep track of. The “Avery Heavy Duty View 3 Ring Binder” is a simple solution for the age old problem of organizing and storing homework papers! 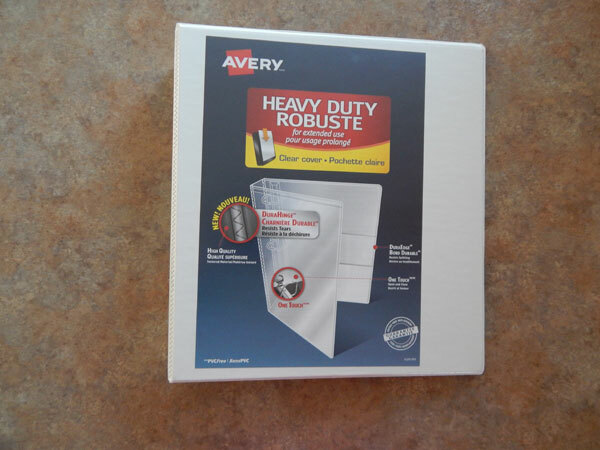 The “Avery Heavy Duty View 3 Ring Binder” is perfect for keeping you organized. You can customize the front and back cover and spine for each project so you can visually see what you are looking for when it’s on a shelf or stuffed in a locker. 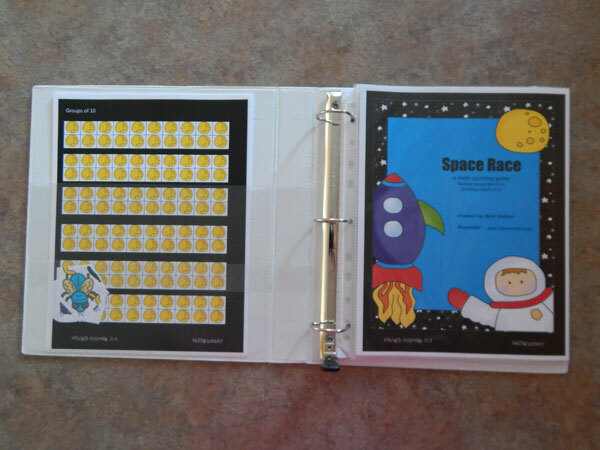 My kids can’t wait to decorate our “Game Binder” and make it their own. I love that can simple replace the cover sheet if you decide to use your binder for another project. The binder has 2 sets of stacked pockets, one on the insides of the front and back cover. These are perfect for storing the “extra” papers that you receive. The pouches are made from a strong plastic and I don’t feel that they will tear very easily. 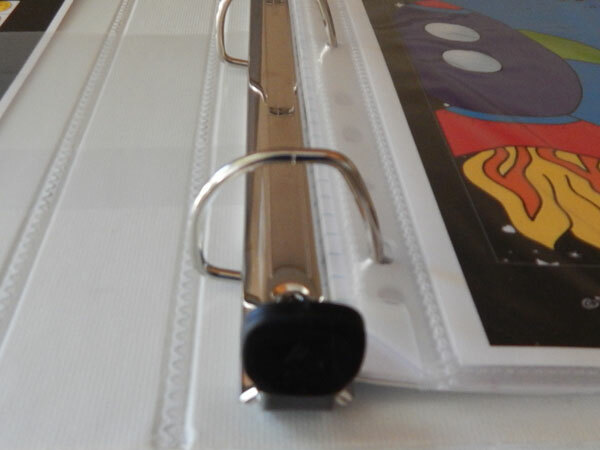 The seems on the binder feel strong and resistant to tearing and the edges are reinforced. The rings are so simple to open that you can do it with one hand. Simply pull down on the lever at the bottom and the rings pop open. The 1 inch binder can securely hold 275 sheets of paper. You simple press on both sides of the rings to have them snap closed. While the rings don’t open and close silently, they are much quieter than binders I have used in the past. The rings aren’t perfectly round, the right hand side is slightly straight so that your stacks nicely. I think this heavy duty binder would be perfect for school and the office. We love ours and plan on using it over the school year. *Disclosure: Disclosure: I received this product through the Amazon Vine program. I’m under no obligation to give positive reviews and my opinions of this product is based on my actual use.